Four Appetizing Flavored Butter Spreads for your Christmas Buffet. Flavored butter spreads are so easy to prepare. You can use them either as an appetizer or place them on the table to supplement your holiday meal. These flavored spreads may be complemented with a variety of crackers. Or, offer different types of breads—shaped into bite-sized portions with fun, seasonal cookie cutters. To add to the presentation, consider using decorative toothpicks to hold together folded or rolled slices of bread. Using skewers makes the bread easy to grab and with four delicious flavored butter spreads to choose from, this appetizer is hard to resist. Beat the soft butter with your electric handheld mixer. Puree the washed twigs of rosemary and garlic cloves in an electric food processor/chopper. Mix butter with rosemary and garlic and season with a little salt. Spread the butter mix in a silicone mold and place it in the freezer for about 2 hours. The silicon molds make it easier to remove the hardened butter. You can store your shaped butter in the refrigerator. 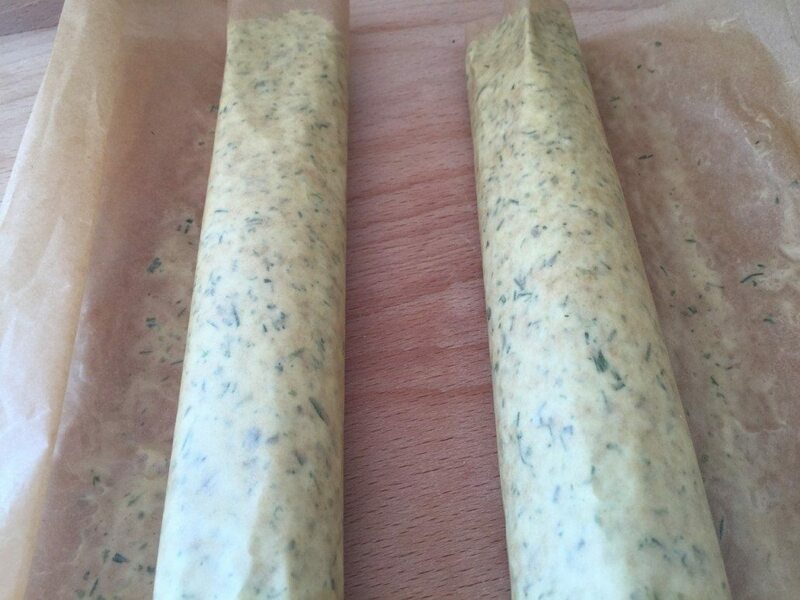 If you do not have a mold, just roll the butter in parchment paper. Place it for about 30 minutes in the freezer to harden. Cut the butter roll into slices. Beat the soft butter with your electric handheld mixer. Chop the bell pepper in an electric food processor/chopper and mix it into the beaten butter. Season with some salt and paprika. Spread the butter mix in a silicone mold and place it in the freezer for about 2 hours. This will make it easier to remove from the mold. You can store your flavored shaped butter in the refrigerator. Beat the soft butter with your electric handheld mixer. 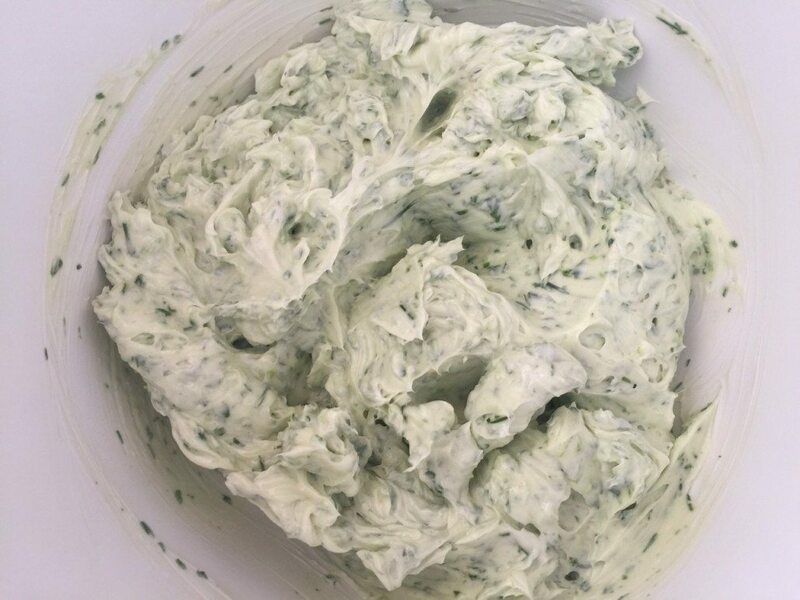 Puree the parsley, chives, and dill in a food chopper and add 4 teaspoons of the mixed herbs to the butter. Add lemon peel and juice and mix well, then season with salt. Beat the soft butter and cream cheese with your electric handheld mixer. Chop the shallots and place them in an electric food processor/chopper add it to cream cheese to the butter mixture. Mix well and season with a little salt. The Flavored Butter Spreads can be served with bread or crackers. They are always welcome at the buffet for a Christmas Party. To try the Shrimp Dip Recipe click here and the Stuffed Tomatoes click here. https://www.theomaway.com/wp-content/uploads/2014/12/IMG_6324-1030x6861.jpg 422 1030 Oma https://www.theomaway.com/wp-content/uploads/2017/02/Oma-Logo-Authentic-German-Recipes.png Oma2015-12-06 21:23:262019-02-18 12:42:29Four Appetizing Flavored Butter Spreads for your Christmas Buffet.